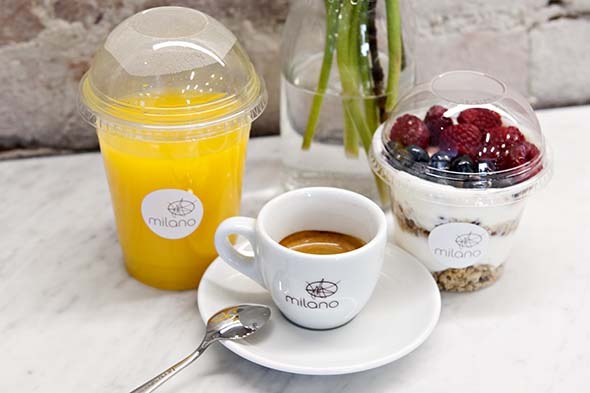 Milano Coffee is the first Toronto location for what's already a Canadian coffee institution. 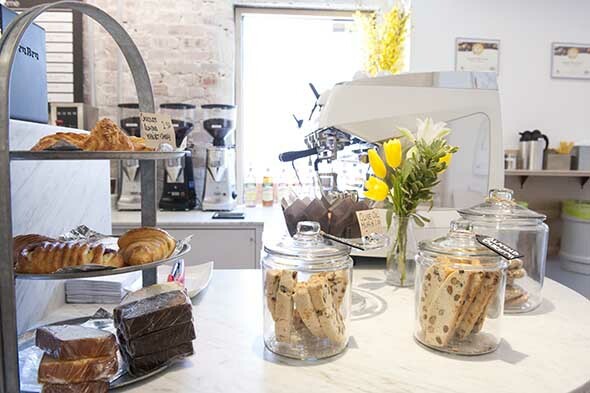 The company's operated three branded cafes in the Vancouver area for years - but, before that, it was known internationally for its prize-winning espresso blends, scoring numerous medals at international coffee competitions. 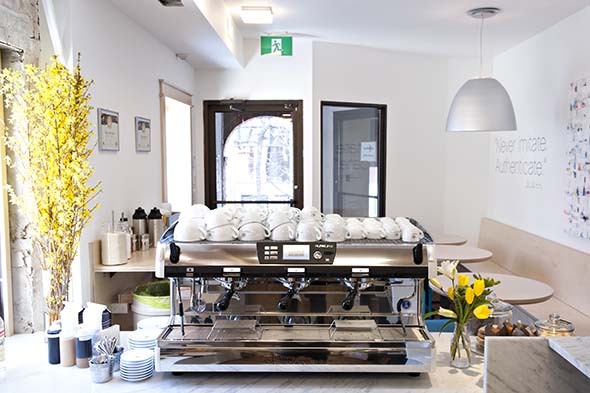 In a city already awash with excellent brew, the duo responsible for importing Milano to Toronto - Christian Petronio ( TOCA , Buca ) and Jerry Raso ( il Gatto Nero ) - maintain that the company has the pedigree and artisanal touch - and, naturally, the delicious espresso - to stand out from the pack. The company, Petronio says, stands apart from both big-box coffee shops and the city's indie cafes, which tend to follow the current "third-wave" trend in coffee, taking single-origin beans and giving them an ultralight roasting. "The idea (there) is to showcase what that particular bean is about - whereas this is about tradition, and evolution," he says. "Brian made the example to a few people about Ferrari: You had beautiful Ferraris in the '60s and '70s, but they didn't stop and say 'No, we're good. We're happy about what we've done. This is it.' No, they've continued to evolve." 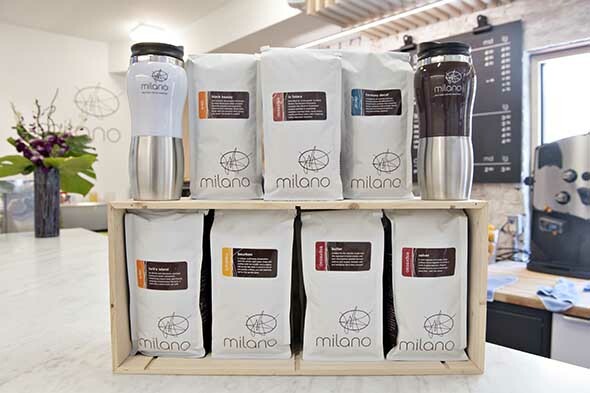 "Brian" is Brian Turko, the master roaster responsible for Milano's meticulously-balanced blends , each of which features a careful mix of up to 14 beans. The company says it can take Turko 1500 bean combinations and 20,000 tastes over three years to perfect a single blend. The fruits of his labours are listed behind the bar at the cafe. Where your average coffee shop might max out at two or three espressi and a couple of drip blends, they've got a roster of 10 blends on tap at all times, with some meant for pulling through their Aurelia II T3 machine (the same one used at the International Barista Championships), some designated for pour-overs and some brewed as drip. Two of those blends - Butter and Velvet - took home gold medals from the International Institute of Coffee Tasters in Brescia, Italy this year. I opt instead for Bourbon, a medium-roast brew done in pour-over; the listed taste profile promises a "big-bodied" flavour, and it delivers. Another reason to love their espresso: Their low-acidity blends put coffee within reach of those who can't typically drink it without getting an upset stomach. That includes Raso, who forced himself to put away 12 coffees at a tasting with Turko ("I'm meeting the owner of Milano, and I can't really tell him I can't drink coffee!") before realizing he didn't feel ill at all. 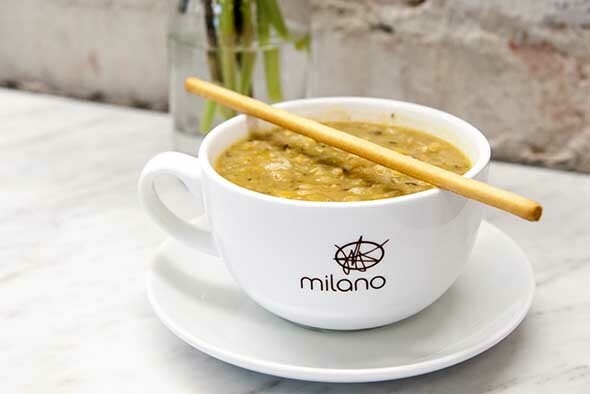 Turns out Turko, too, had sworn off coffee before discovering Milano. If you want to sip several of their blends in one go, they offer tasting flights ($7.50) of their three espresso blends, served shot-style; a rarity for non-roastery cafes in town. Sip it standing up at the marble bar, another Italian tradition not often seen in these parts. They've also concocted a few more playful drinks, including the "hedgehog latte" (with hazelnut and chocolate syrups) and the "Turksicle" (a mix of white and dark chocolate with a doppio-lungo espresso and cream, served on ice). A "shot in the dark" is a pour-over with a shot of espresso. "We were gonna do five espressos in one cup, and call it the Rob Ford ," Raso jokes. 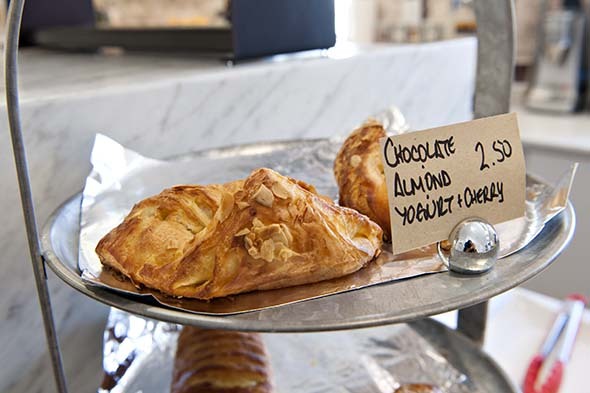 They're still rounding out the snack offerings, but you can currently find biscotti, muffins, croissants, soups from Caledon's Soup Girl , and a selection of salads, yogurt parfaits and panini, which they make in-house. The cafe will soon welcome a visit from the master roaster himself, along with some tasting events, meant to spread their unique blend of Italian tradition and west-coast cool to the city. 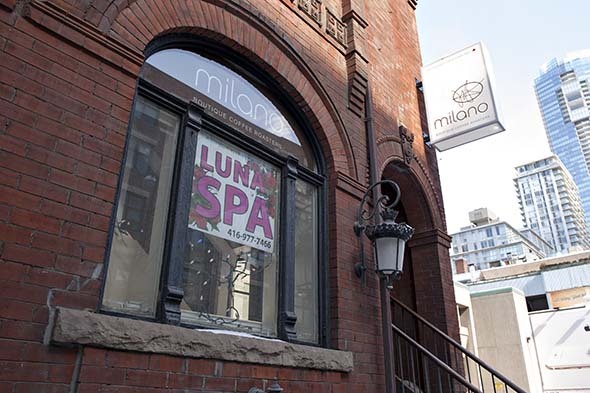 As Petronio puts it: "The blend between being a Canadian product, using Italian know-how, and then sourcing the product from everywhere else in the world is kind of a cool combination."